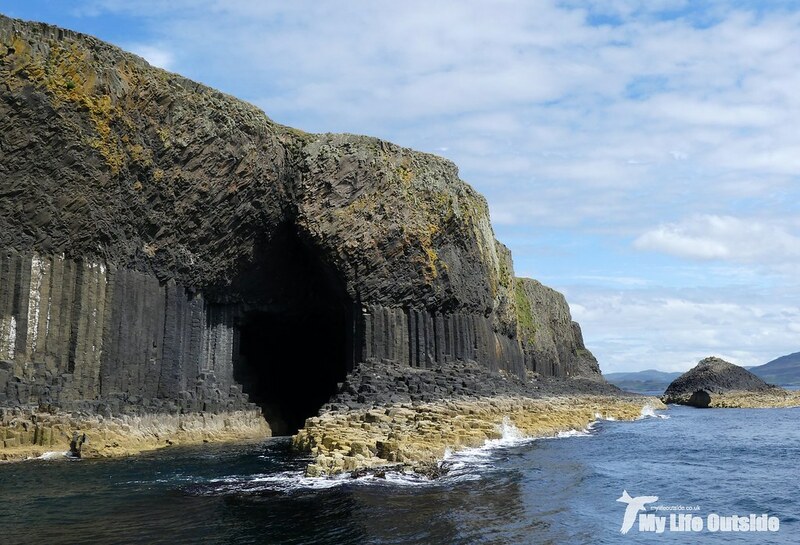 One of the big ticket items we had planned for this holiday was a trip out to Staffa and Lunga with Turus Mara. 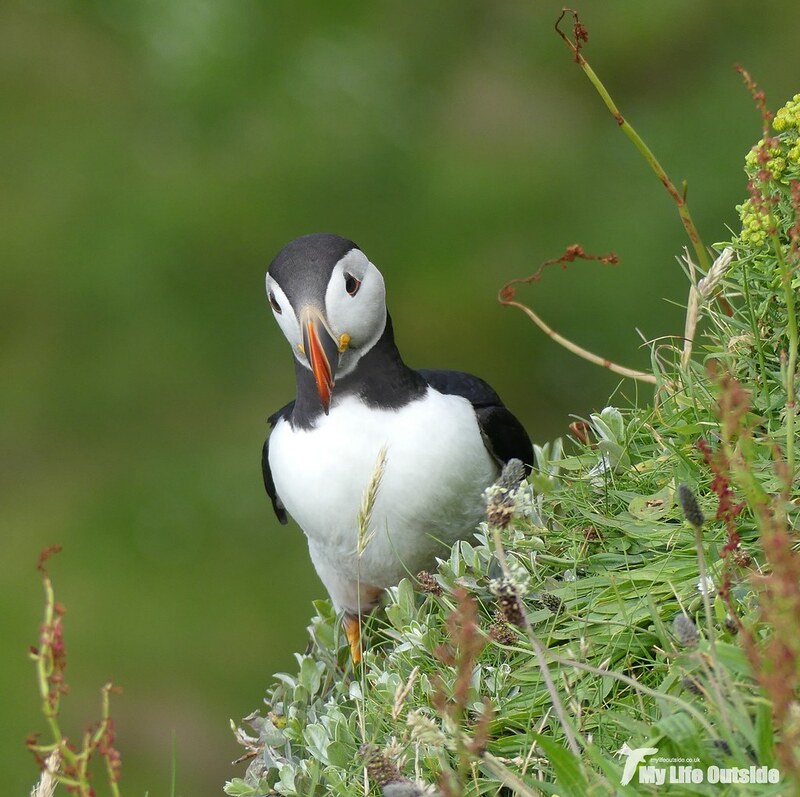 It’s one we’ve taken numerous times before but summer is a particularly special time of year thanks to the magic of Puffin therapy. 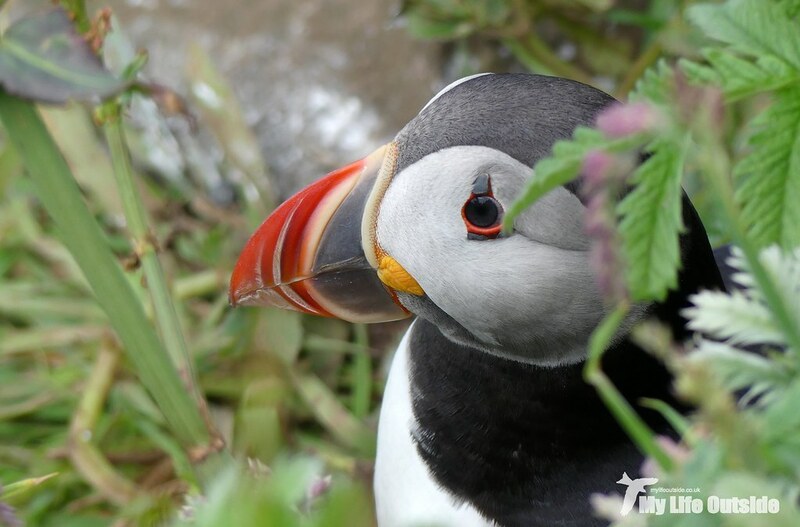 Now the opportunity to spend any length of time with these colourful creatures is not to be missed so when Andy mentioned that they were running a photography tour out there on Monday and would we like to tag along, the answer had to be a resounding yes! The best part? 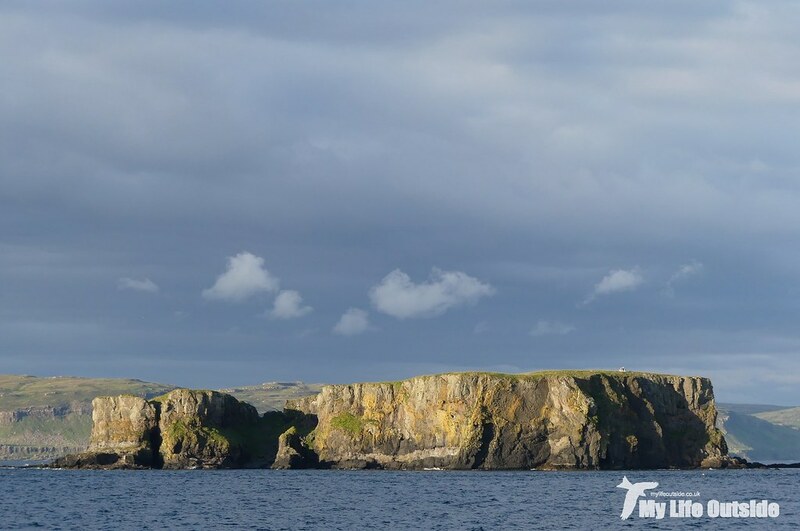 After the ‘normal’ guests had been taken off Lunga we’d have four whole hours left on the island alone. Just us, eight others and thousands upon thousands of sea birds. What a mouth watering prospect. It all started simply enough with us boarding Hoy Lass at Ulva Ferry mid morning. Conditions were already looking good with a clearing sky and rising temperature as we entered Loch na Keal, not quite a flat calm but ideal spotting conditions for anything that might be about. 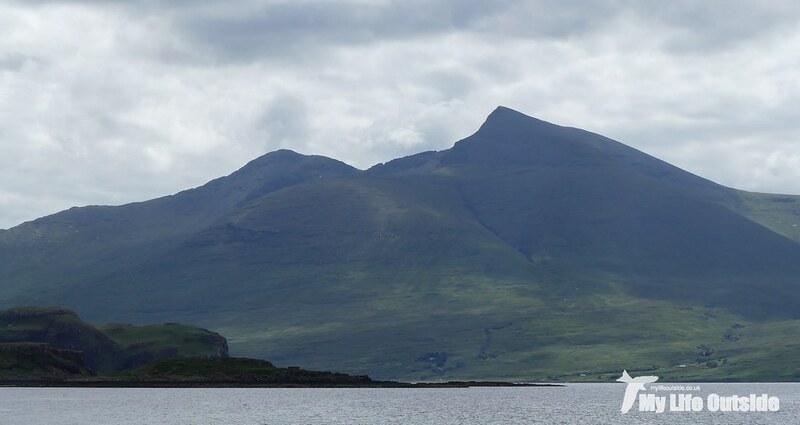 Up ahead the towering form of Ben More dominated our horizon, its flanks dark, shrouded by lingering cloud. From down here this island Munro looks tricky at best to conquer but we know from past experience that she’s simply a joy to climb. 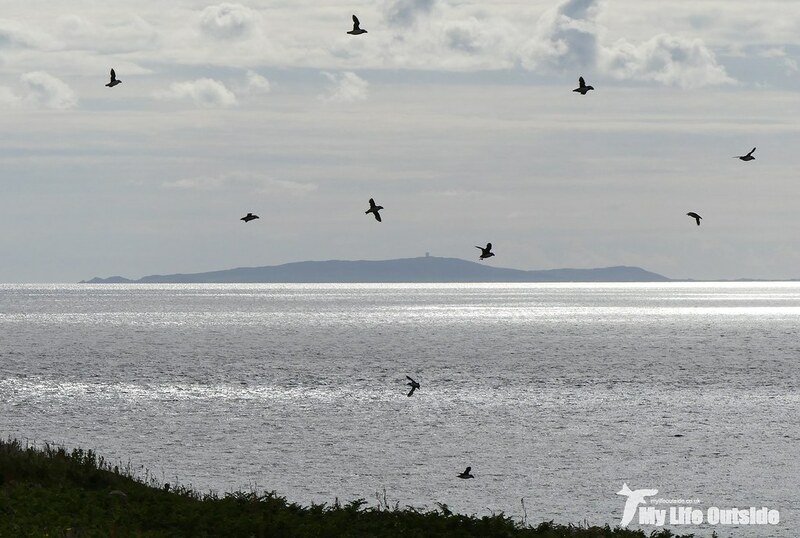 Our first Manx Shearwaters of the day appeared as we passed Little Colonsay, singles at first until a feeding flock numbering at least a hundred or more individuals off Iona. Interspersed were over thirty Gannets but no manner of searching could reveal that tell-tale splash or fin which might have heralded something beneath the waves. Black Guillemots, Guillemots and even a few Puffins were also spotted but early billing for bird of the trip had to go to the brute of a Great Skua nearby, initially loafing around before idly chasing one of the passing gulls. 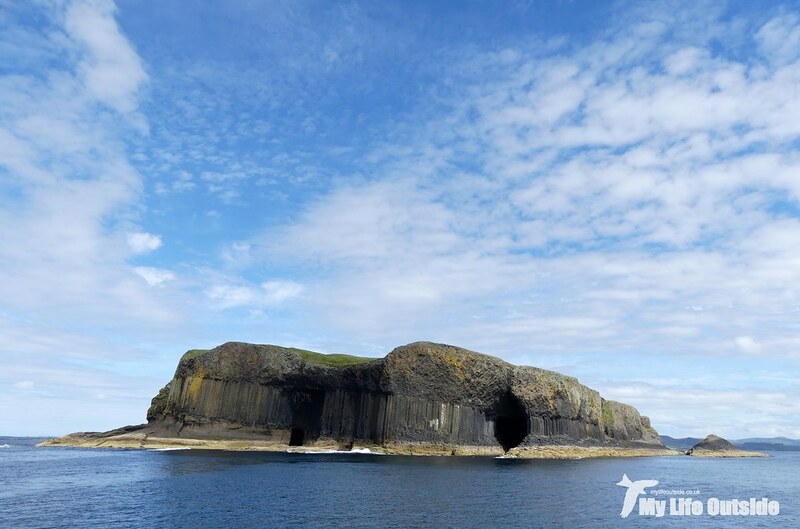 Sadly it stayed quite distant unlike Staffa which was upon us before we knew it. Even though I’ve taken these views more times than I care to remember I couldn’t resist a couple more and still enjoyed the tortured rendition of Mendelssohn’s overture over the tannoy as we nudged our way into Fingal's Cave. 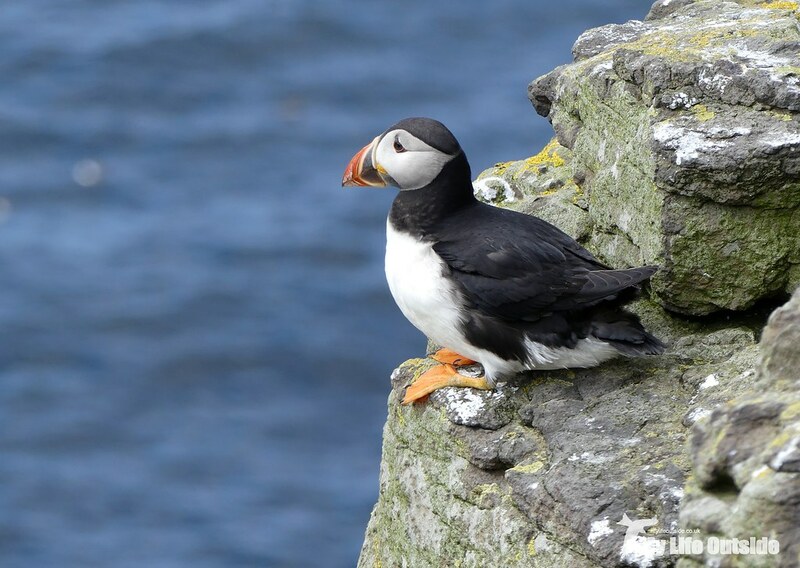 Now Staffa does have its own population of Puffins but with Lunga more than covering that particular angle I had my eyes on another prize entirely. 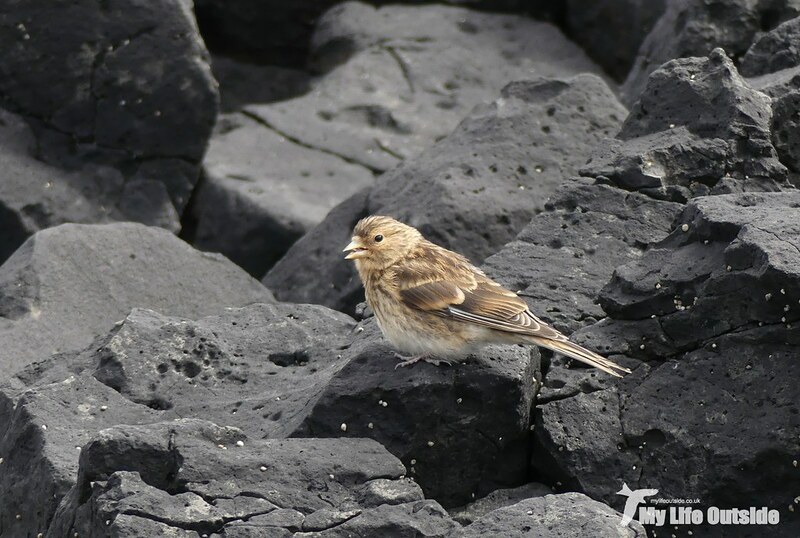 When we visited last October we’d been delighted to find a small flock of Twite and I wanted to know whether those birds were just passing through or if the island held a resident population. It didn’t take long to find out. 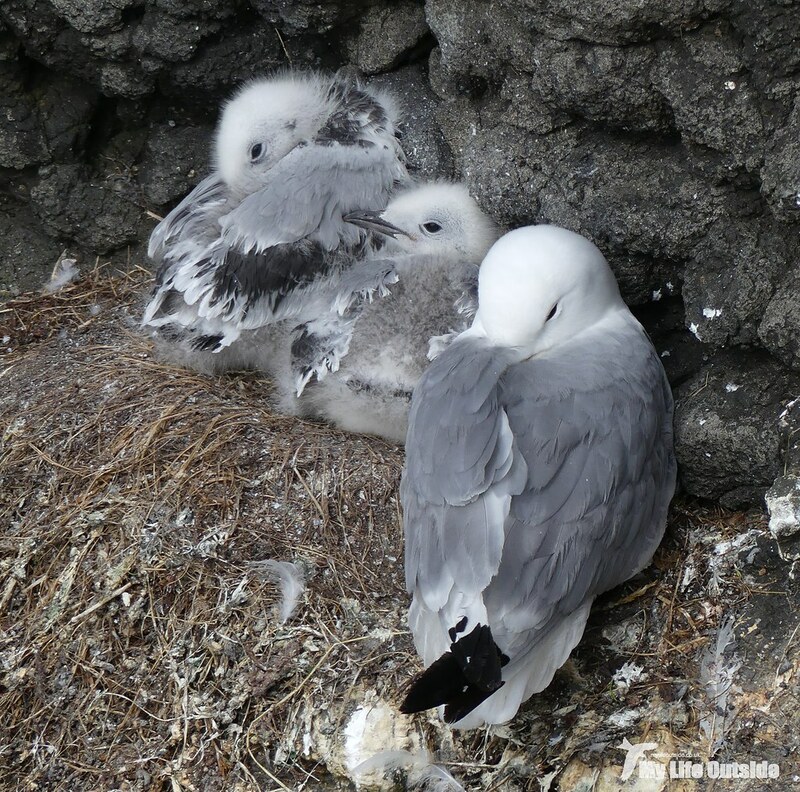 Betrayed by their distinctive calls we found at least six individuals feeding down on the cliffs. After grabbing a couple of record shots just to make sure I carefully made my way down to the beach for a better vantage point and struck absolute gold. 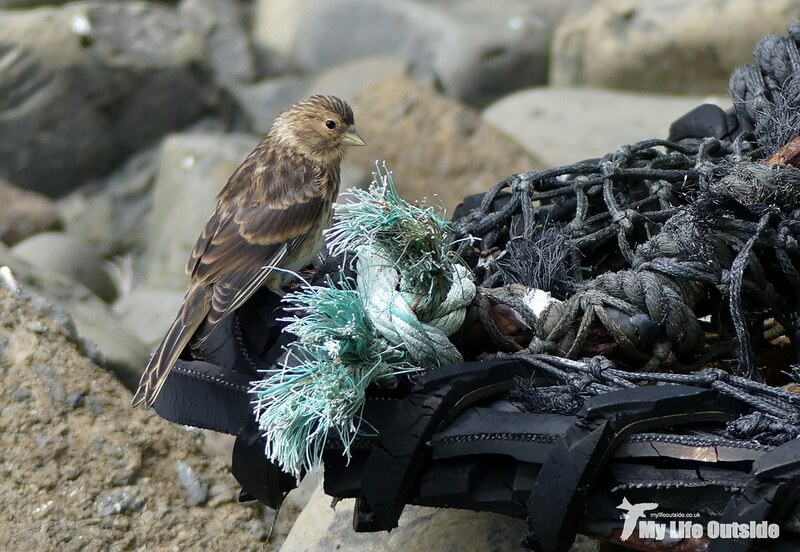 Two of the Twite were feeding around an old lobster pot and allowed me to approach closer than I ever dared possible. Good thing too as those initial shots had been absolute rubbish. 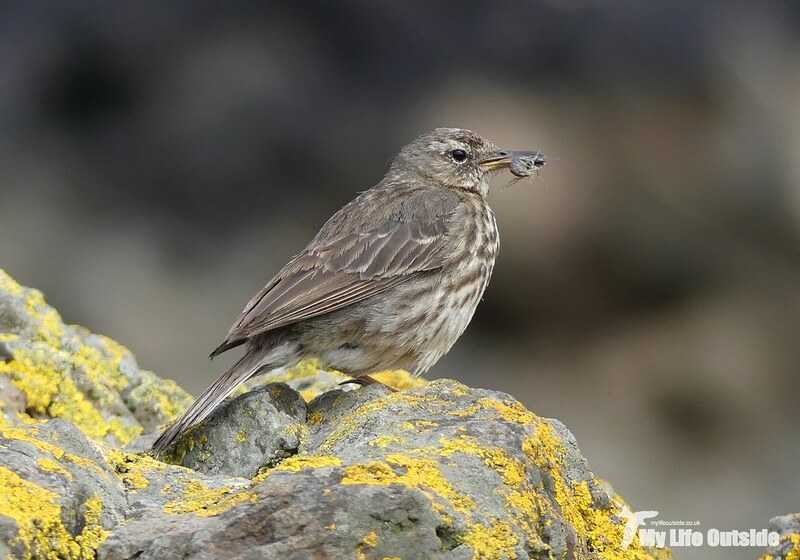 Feeling pretty pleased with myself I then turned up a Rock Pipit complete with insect in beak which by some miracle didn’t scarper at the first sign of a camera. They must be made of sterner stuff up here compared to their yellow bellied southern cousins. All too soon it was tine to re-board, an hour precious little time to explore a place which I always feel has much more to offer. Still, Lunga next whose approach was heralded by ever increasing numbers of Puffins and Manx Shearwaters until we were clambering ashore, wide eyed and raring to go. 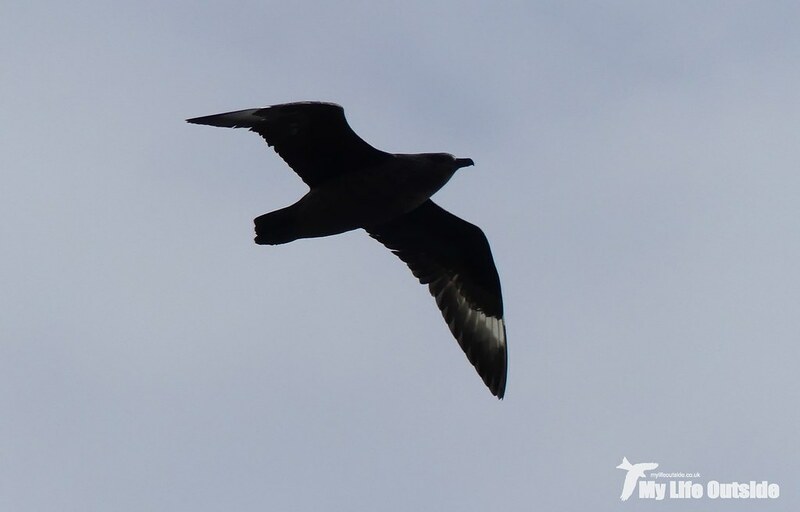 Almost immediately a dark phase Arctic Skua flew overhead and off out to sea before we clambered up to the main hotbed of Puffin activity. Whilst others reached straight for their cameras I instead chose to take a moment, step back and appreciate the true privilege of what we were witnessing. Stretching out before us along the cliff edge were hundreds of Puffins, their brightly coloured bills and black and white plumage simply unmistakeable. Pottering around they almost looked surprised at our sudden presence, or should that be resigned to their daily intrusion. It was hard to tell which. Either way they tolerated us admirably as my previous photo heavy post can hopefully attest to but here's a few more for good measure. You can never have too much Puffin. But don’t make the mistake of considering this a safe haven for Puffins. Far from it. 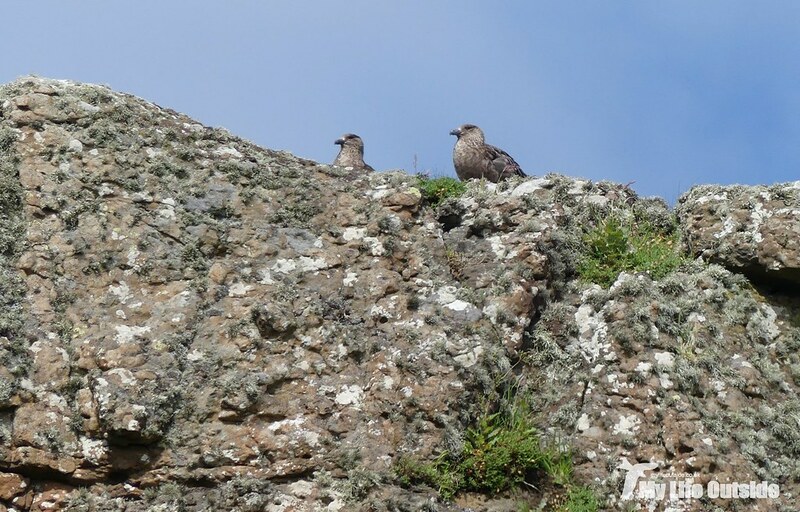 Patrolling the cliffs were a pair of Great Skuas, their brutish outline sending the Puffins fleeing at regular intervals and providing us with some of our best ever Skua views. Having not learned my lesson from countless failed attempts I even tried a few in flight shots which at least were better than the appalling effort I managed of one off Gower last month. Now on any normal Lunga trip that would have been about all we’d have had time for, and even then it would have been a squeeze. Not today though. Instead we were going to be left alone on the island for another four hours at least whilst the rest of our party were returned to Mull. In total that meant there would be just the ten of us there, marooned until our skipper hopefully returned later that evening. 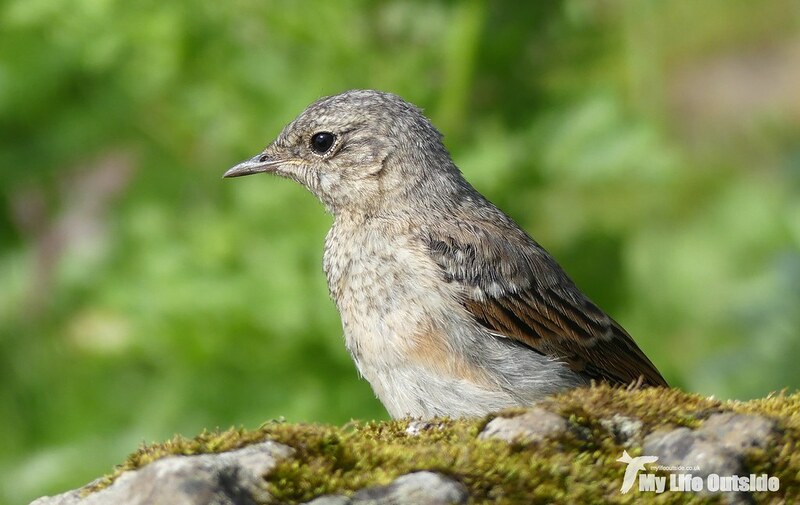 And this was very good news indeed as I had a new target species whose unmistakeable call had been tempting me ever since our arrival. Sounding not dissimilar to someone running their finger along the teeth of a comb it could only be a Corncrake, and if my ears didn’t deceive me there were at least four males vying for attention. So started the waiting game. You see hearing Corncrakes and seeing Corncrakes are two very different beasts. 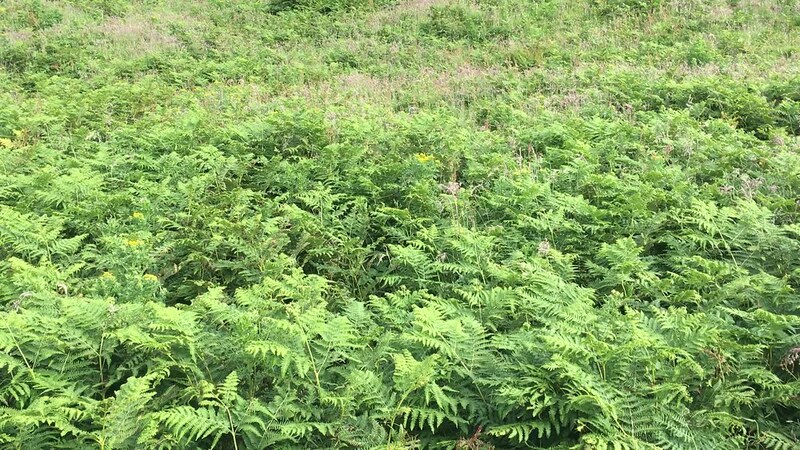 Take for example Iona, their local stronghold around here, where Emma and I once spent half an hour staring at a small clump of vegetation which we knew held a Corncrake but of which we never saw a single sign. 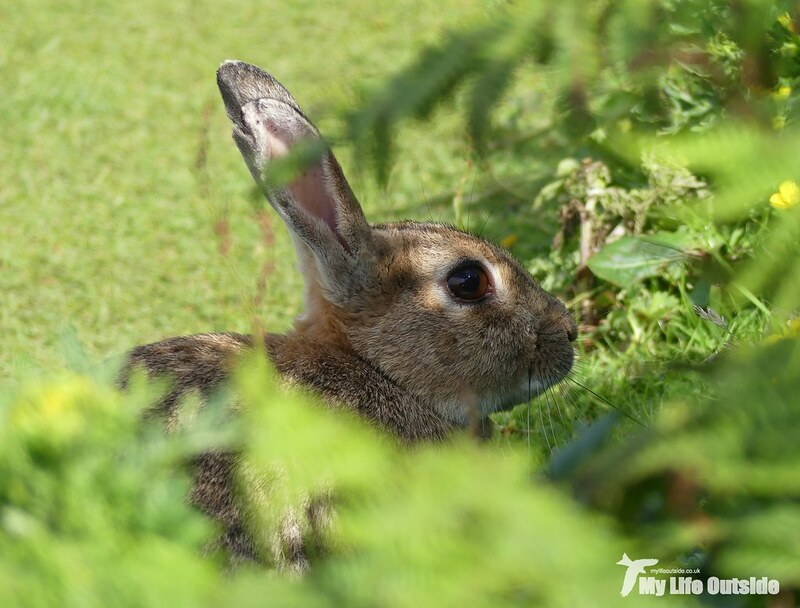 No furtive movements, not even a rustled blade of grass. Quite how they manage it is anyone's guess but it’s immensely frustrating and we were about to conduct the rematch. Zeroing in on the likeliest sounding bird we stood on opposite sides of a meadow roughly forty metres apart. Straight away I felt like our luck was in as the Corncrake sounded as if it was literally within touching distance of my position, right up until Emma confirmed that she thought exactly the same thing. Tricky buggers aren’t they. After repeating this exercise a few more times we essentially gave up on the scientific approach and took to roaming the various paths in the hope of simply stumbling across one. And it worked! 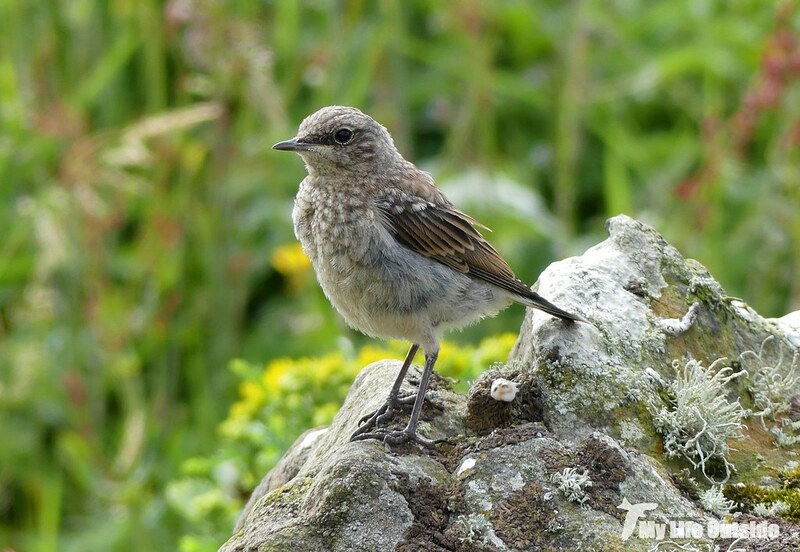 I was treated to fantastic views as one ran straight across my path with Emma seeing two further individuals. No photos sadly but for me the sightings were more than enough. 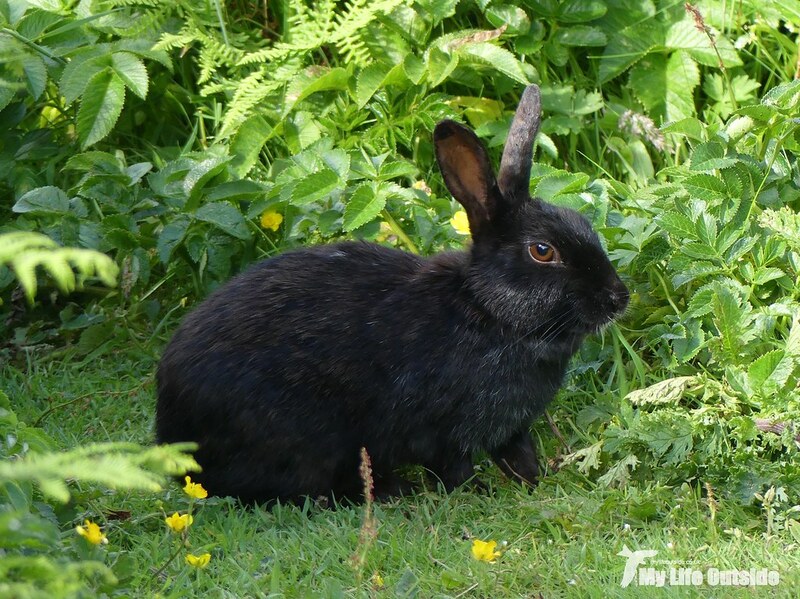 As a consolation prize why not have a couple of Rabbit photos, images which at one point I genuinely feared would be all we took from those meadows. No Corncrake photos then but I did manage to record a little of their call. Turn your speakers up high and you might just get close to the full experience of having this blasting out right next to you, so loud that at times the call echoed back off the cliffs behind. When I wasn’t driving myself mad hunting Corncrakes there were plenty of other birds to keep us occupied during the stranding. A lone Red-throated Diver and several Eider out on the water were nice to see whilst the island itself delivered a pair of Common Snipe, numerous Fulmar, Twite, Shags, Kittiwakes, Meadow Pipits and not an insignificant number of juvenile Wheatears. Spending that time alone on the island was simply magical. 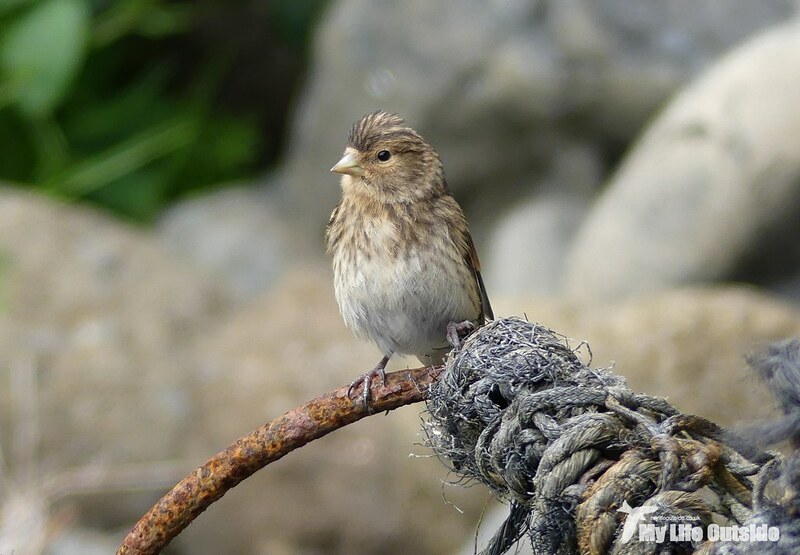 We could wander as we pleased, enjoy the birds at our leisure and generally have a ruddy good time. As the sun lowered the lighting became increasingly dramatic until when, reluctantly, we were dragged back off Mull herself was positively glowing. I just had enough battery left to capture a couple of shots before my camera completely gave up the ghost. Even our journey back was not without its wildlife. First we spotted a pair of Harbour Porpoise, then both Grey and Common Seals before we finished with a White-tailed Sea Eagle returning to its nest. 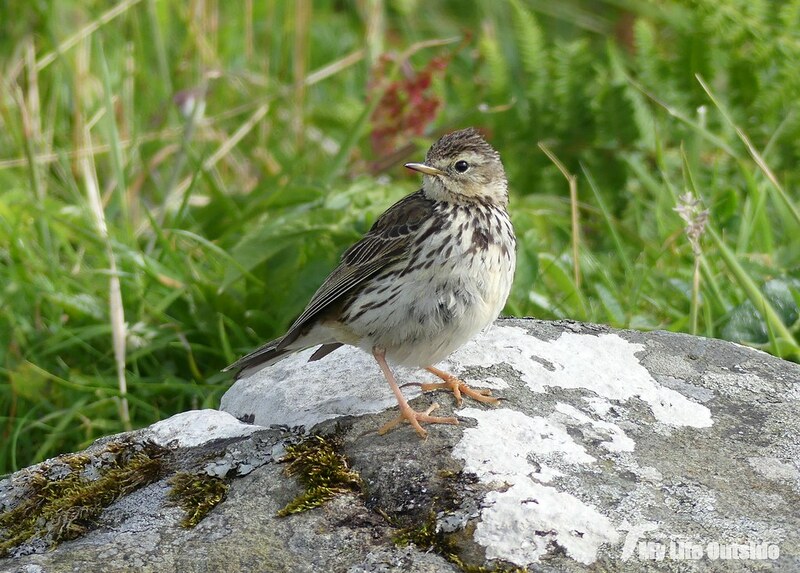 That my friends is just how spectacular the wildlife on Mull can be. Some wonderful shots there! 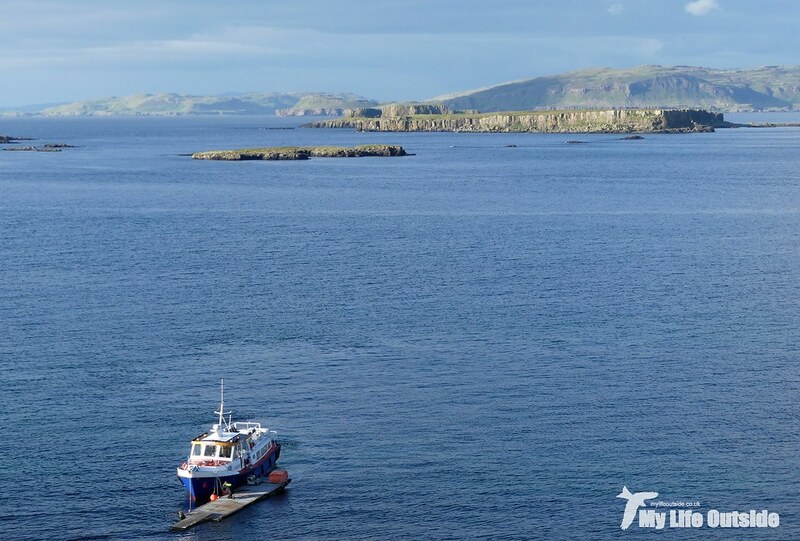 I've been to Mull a few times but never taken the trip out to Staffa. I have seen corncrakes though - a whole family from their numbers, wandering down the road near Kilchoan, on the mainland opposite Tobermory. One of those small wonders that Scotland turns up from time to time.